Editor’s note: As you get to know Chinese students, you may have found that family plays a much bigger part in the Chinese students’ lives than you think. Parental expectations sometimes seem to dominate students’ thinking. But why? It might be hard to understand from an individualistic point of view. 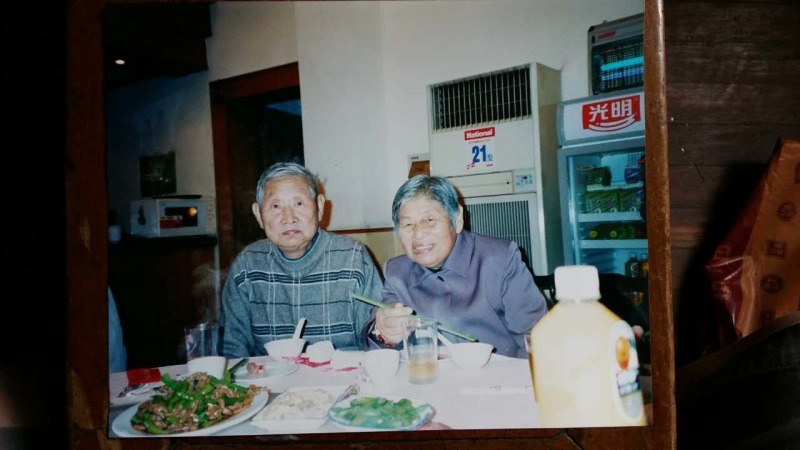 This article’s author not only shared her experience growing up but also explained the dynamics and values in Chinese families. How much do Chinese students talk about our families or parents? Some will start a long conversation and you might even not able to stop; some may touch upon part of family stories, while some might choose not to mention that at all. However, our connections to families are so significant that our relationship with them impact who we are and how we live our lives in three major ways. First, we value a lot of parents’ and some major relative’s opinions. In a Chinese family, the elders are highly respected, and they are listened to when they speak up. As I think about how I was raised, I would seek to listen and follow my parents, yet at times I did not like what they told me to do. So I would run to my grandparents to complain and refuse to do what I did not want my parents asked. And I succeeded every single time! I then knew that my parents would not go against my grandparents. They also were obligated to not go against their parents. Many Chinese parents, including mine, give advice to their children with good will. They want to see their children will not bear as much pressure as they took but take shortcut or easier steps to achieve life goals. I totally understand their great intention behind their advice. Their childhood or their parents’ lives might not be easy. And they want to see their generation have a better life. Critically thinking, what is the “better life” for those who are born after 90s? Parents may limit the possibilities how life could be better so children might not be able to come up what kind of life they are looking for. Young Chinese kids are highly protected and given much attention and love. Besides receiving, when do we get to learn to give? When is the time to step out of the bubble that our parents have been wonderfully made? Second, our lifestyle are imitated from our parents and close family members. Since the elders’ opinions and advice are held high, we can see interventions from them in the younger family members’ life. That is also how they bond with each other. Therefore, it is easy to see our lifestyle has a lot of similarities or same patterns from our families, no matter how we deal with money, how much personal space do we save, or how we show our love and care to others. As we follow what our families do, it is hard to evaluate or adjust our lifestyle or behaviors after we leave our parents and start a new personal life while understanding what does independence really mean. We might not able to recognize that we have been following family traditions for years without doubting why. When we are exposed to foreign cultures, we have challenges to adapt. One of the reasons could be that we consider our own culture or family traditions are the right and the only way to do it, we are not used to or accept other culture’s way to do the same thing. When I first came to America, I was shocked by all the restaurants serving ice water. Even I never say it out loud, I yelled it in my mind “ what is going on here?” Serving ice water was not considered as a healthy way to go with food in China because its coldness hurt your stomach. I can imagine if my parents sit down with me there, my parents will stop me drinking that ice water. Out of fear, I don’t dare drink it because my parents would tell me “Mind your stomach.” Until I have been staying in the States for years and finally started drinking ice water in restaurants, I never find a problem in my stomach by doing that sometimes even in a particular cold day. However, if I imagine what my parents would say, they definitely will go “ you are such a American!” Then I probably give up doing that and chose hot water instead, just because that is the “classic” option for Chinese. Third, we don’t want to let them down. Family is such a key part in Chinese students’ lives. Families could be the first group they would ask for advice; the last group who makes major decision for them; the only group who always financially support them for minimum reason; the group who sacrifice to their children a lot and set the highest expectations. Who wants to let them down? If they are not in a good relationship with them, that must be hard for him or her to move on. Nowadays, Chinese students may have complicated relationship with their parents. You may find a Chinese guy who has not talked to his parents for a while, because his parents do not agree with him on anything and he thinks he let them down. You may also find a Chinese girl who is self-centered and does not know how to care for others’ feelings and respect others because hers have not really respected due to parents’ intervention. As a Chinese person, I encourage you to find ways to understand the relationship your Chinese friends have with their family. Through this understanding you will deepen your relationship with them. Have you found any Chinese students, who are not easy to get along with or have some conflicts with their parents? How would you encourage Chinese students to recognize their culture and family tradition but also have an open heart to change or adjust for another culture?